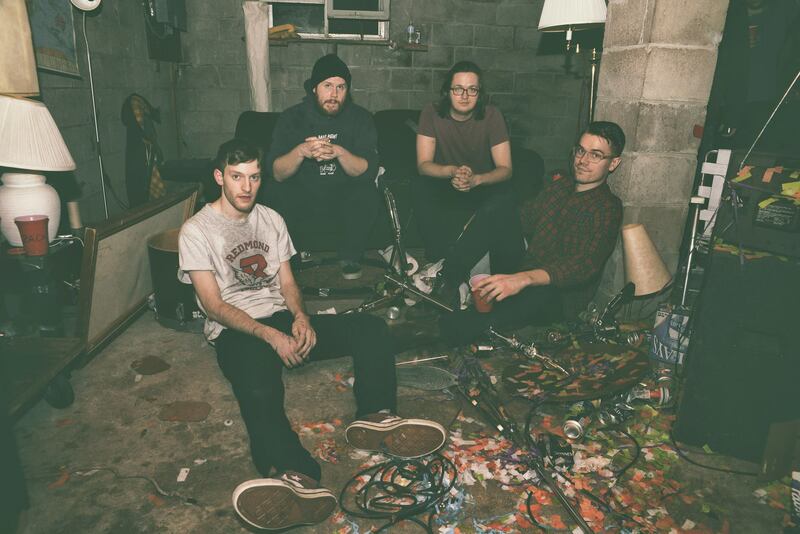 PUP is one of the most impressive punk acts to take on the world in the past two years. From releasing their incredible debut self-titled album via SideOneDummy Records, to endlessly touring throughout the world, and releasing great music videos such as “Mabu” and “Guilt Trip” (to name just a couple), the band is definitely not showing any signs of stopping. To further prove this notion, the band has released a new music video for “Back Against The Wall,” showing their fun live performances much like the one AltarTV shot of the same song. According to Noisey, who premiered the official music video for the song, they tallied the number of shows PUP played in 2014 to be a whopping 250. This is a milestone most up-and-coming acts usually doesn’t reach but it was a feat the band was determined to conquer. Many of these performances were then condensed into a music video showing the band performing the song at various venues across the world. You can check out the video below following the jump and definitely be sure to crank your speakers to ten (or more). If you can’t get enough, no need to fear, for you can catch the band on their upcoming tour with The Get Up Kids and Restorations and also on this summer’s Vans Warped Tour for the month of July.